Alex started learning saxophone at the age of 8. 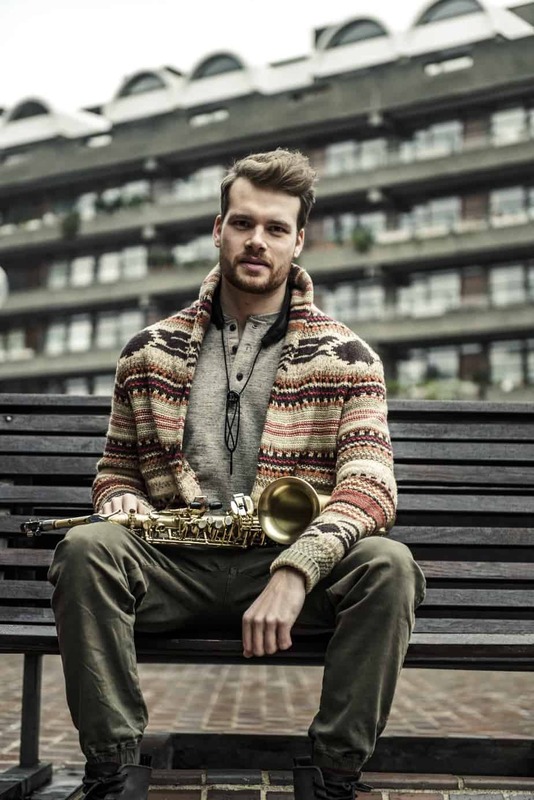 Having been inspired early on by late greats of jazz such as Art Pepper, Lester Young and Chet Baker, he has since progressed to becoming a graduate of London’s prestigious Trinity Laban Conservatoire of Music, led by world renowned muicians. Since graduating, Alex now freelances over Europe and the UK and has been lucky enough to perform with some of the world’s top musicians on the scene featuring an eclectic mix of jazz, pop and DJ artists at prestigious venues such as The House of Lords, Heidelberg Castle, Admiralspalast (Berlin) and at Le Mans 24h for Aston Martin Racing. At the beginning of 2016, Alex completed a tour of Germany with ‘The Definitive Rat Pack’ on tenor saxophone and clarinet, performing at acclaimed and historic theatres in over 20 cities across the country including Berlin, Munich and Stuttgart. 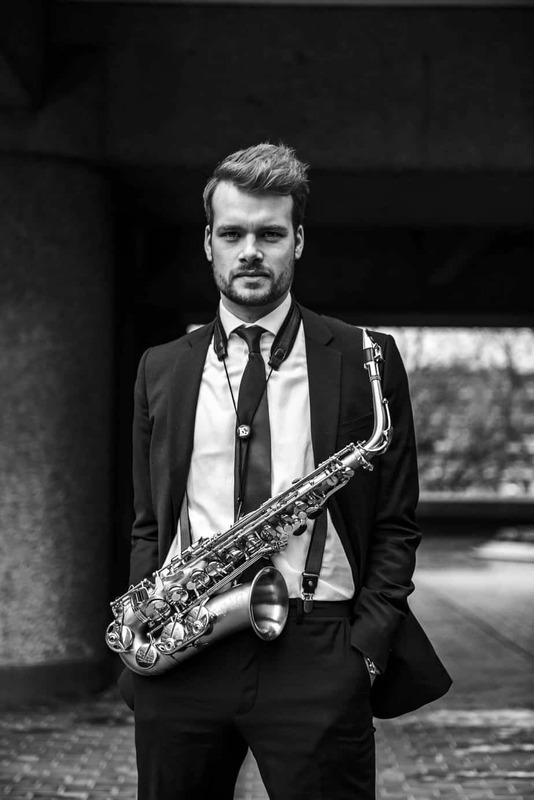 He regularly performs at Farringdon’s ‘The Piano Works’ and is the resident saxophonist in club Thirty3Hz in Guildford. 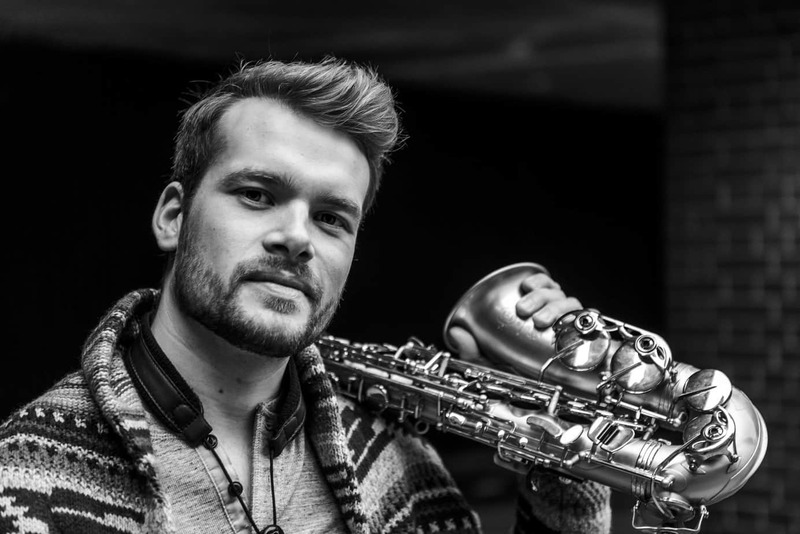 ​Over the winter of 2016/17, Alex was the in-house saxophonist at ‘Dicks’ Tea Bar’, Val d’Isere, the French Alpine nightclub. Alex featured in an advert filmed for Ray-Ban in 2015 with the band Ebony Bones which was shown on YouTube and in cinemas across Germany. Also in 2015, he featured on Niji Adeleye’s debut album, ‘Better Days Ahead’ which reached #3 in the iTunes jazz downloads chart. Other recording work includes Natalie May’s EP, ‘Neo Deco’ which was launched at a performance at Camden’s Jazz Cafe, supporting Teedra Moses. As a side project, Alex co-runs ‘More is More’, an exciting collaboration of some of the best young instrumentalists of their generation playing their own innovative brand of totally improvised groove music and can be seen playing across London.